It doesn’t take an expert to observe that online shopping is fast becoming the nation’s favourite way to buy almost everything. And as with all trends, this one is creating its own vocabulary. The latest phrase we’re hearing from commentators on the retail space is ‘serial returner’, and it refers to the trend for buying lots of items online with the intention of returning most, if not all, of them. 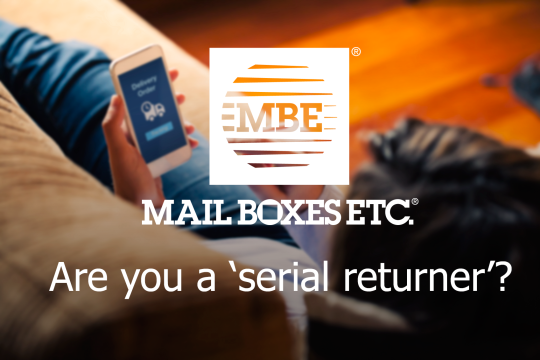 Serial returners are well catered for by clothing retailers, who encouraged – many would say created – the phenomenon by making it so easy to order online and return anything you don’t want, often free of charge. While pundits now claim to be shocked by this behaviour, it wasn’t so very long ago that we were hearing the lament that people would buy most things online except clothes, because they preferred to see, feel and try them on, which meant the high street was still the preferred option when it came to fashion shopping. ‘How can we encourage people to buy online?’ mused the clothing retailers. The answer lay in reassuring shoppers – mostly women – that whatever they ordered online would be with them in the blink of an eye, and anything that wasn’t just right could be easily and quickly returned using a choice of methods. Gone was the embarrassment of returning something you didn’t like and feeling you had to prove something was wrong with it in order to get a refund. Gone was the worry about the cost of return postage – many online retailers offer free delivery and free returns. And even when you have to pay for delivery, you can easily offset that against what you would have spent on parking and a cappuccino in the high street. It’s no surprise, then, that online clothes shopping is now something most women do in the blink of an eye. Frequently. Shopping for clothes has never been easier, and returning them has never been more guilt-free. But now retailers are beginning to be concerned about the impact of the phenomenon they created. A recent article in the Daily Telegraph tells us that between 25 and 40 per cent of all goods bought online in the UK are returned. And the cost of so-called ‘reverse logistics’ (the cost of postage, processing returns, storing the clothes and preparing them for resale) is rising – particularly now that so many of us shop on our phones, which can apparently make us even more impulsive. But don’t worry – if you’re an online shopper, and even if you’re a serial returner, your favourite pastime is safe for now. Despite the cost, many online retailers are actually looking to improve their returns policies, because research has shown a smooth returns process is a key influencer in shoppers’ buying decisions. Because while retailers are concerned about having to bear the cost of reverse logistics, they also know that a reputation for great customer service is absolutely priceless. If we consumers can shop somewhere at the touch of an icon and the returns process is completely hassle-free, we will go back again and again, as well as telling all our friends how fabulous it is. If you love a bit of online retail therapy but you’re sometimes not around when the courier calls, why not make it even easier by ensuring you never miss another parcel delivery? 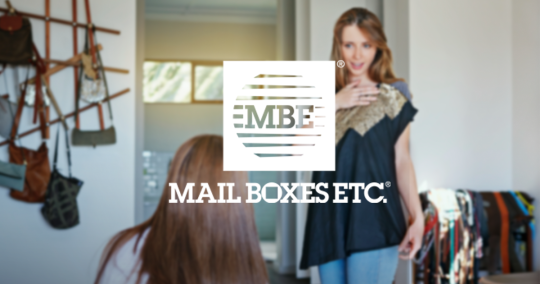 With OneDrop, you can have all your parcels delivered to your nearest MBE store and simply collect them at your convenience. Long live online shopping.